A creative spark . . . The Allotment has designed the identity for a new US-based design award. 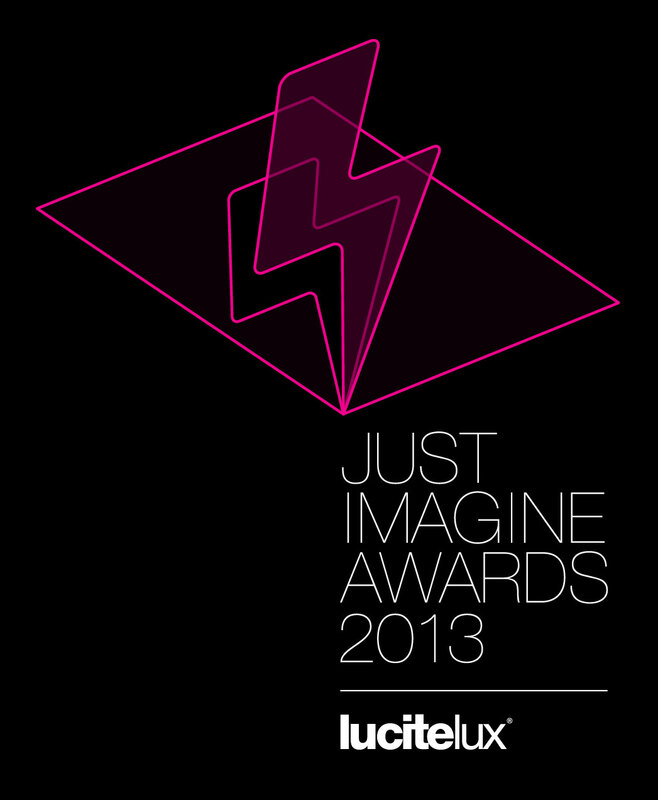 The JUST IMAGINE Awards have been launched at GlobalShop, Chicago by Lucite International, owners of the Perspex® and Lucite® global acrylic brands. The annual awards will celebrate US designers’ work with LuciteLux® cast acrylic (known as Perspex® in the UK) in all its guises from interiors, to corporate imaging, lighting and product design. The identity concept is based on a flat sheet of LuciteLux® and illustrates the moment of creative inspiration - a spark of enlightenment. The logo has been used on US advertising promoting the awards and on the LuciteLux website.